You don’t need to stay at a mega resort to have fine dining with an ocean view, shopping, galleries, and other amenities right at your fingertips. The Shops at Kukui’ula Village, Kauai’s newest plaza, is an easy walk from the Kauai Beach Inn and offers our guests a wide variety of restaurants and shopping. You’ll be amazed at the number of outstanding restaurants, shops, galleries, and more that can be found within a five-minute walk from your room at the Kauai Beach Inn. 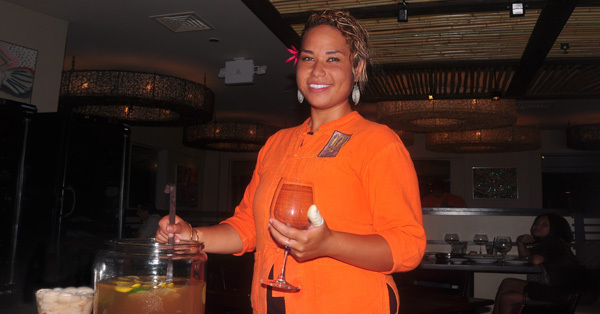 We are always happy to assist our guests in making reservations at any Kauai restaurants, as well as any other Kauai venue or activity that accept reservations. Merriman’s Fish House, Josselin Tapas Bar & Grill, Tortilla Republic Margarita Bar, Dolphin Sushi & Fish Market, Living Foods Market & Café, Lappert’s Ice Cream & Coffee, Merriman’s Downstairs Café, and Bubba Burgers are just some of the many restaurants, bars, and markets to which you’ll have easy access when staying at the Kauai Beach Inn. Many of our guests tell us how much they appreciate being able to walk to a different restaurant each night for dinner, and there are no shortage of lunch options nearby. Of course, we’ll take care of breakfast, which is included every morning during your stay!